This Slow Cooker Captain and Coke Glazed Ham has the most amazing flavor! 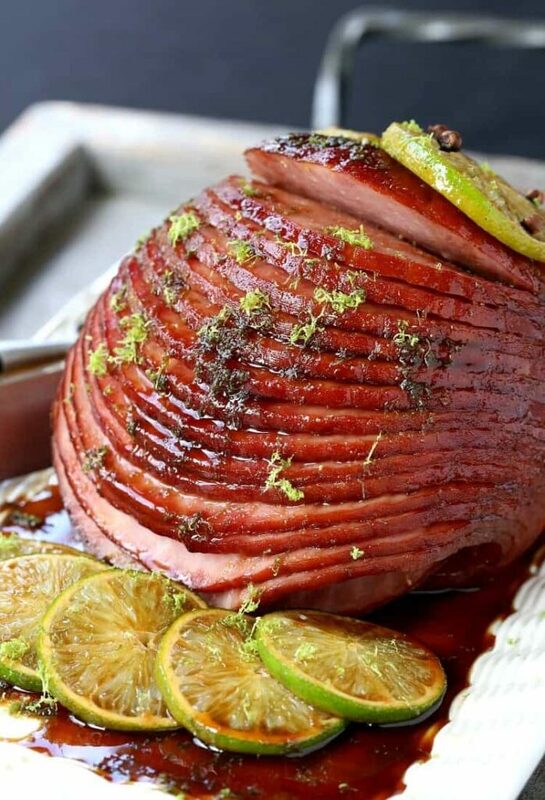 Add a little fun to your holiday dinner with this unique ham recipe! If you need dinner recipes that feed a crowd like this ham recipe, try our Classic Beef Lasagna or this super easy Crock Pot Corned Beef or a comforting Brown Gravy Meatloaf! Boozy, crock pot ham? Now that’s a good time. Not only is this the most delicious ham you’ll ever eat, (and we’ve got a few pretty awesome ham recipes like these Ham Carnitas) but it’s so easy to make you’ll be making it over and over again. I mean slow cooker recipes are the way to go for the holidays, am I right? 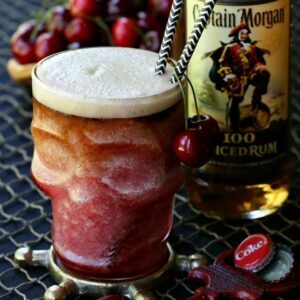 You’ve got all the sides and desserts going on – making sure your guests have full drinks in hand – not so easy around some of my family members – that’s a whole job in itself. But a job I’ll gladly accept. So being able to throw the main course in a slow cooker and forget about it until it’s done, that’s priceless. All there is to do for this Slow Cooker Captain and Coke Glazed Ham is make the glaze, pour it over the ham and press the button on your slow cooker to get it going. This glaze is boozy, yes, but don’t worry about it for the kids, this ham cooks for 6 hours in a slow cooker…there’s not going to be any alcohol left in there, just the sweet rum and coke flavor left behind. And of course I’ve got to top it off with a few lime slices because it wouldn’t be a Captain and Coke without the lime. Can You Make This Ham Recipe Without The Rum? You can, yes. 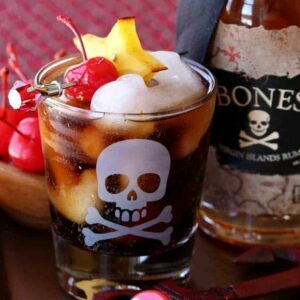 You can substitute the 1/2 cup of rum for orange juice or apple juice or just leave it out all together. Really, the alcohol will cook off, especially as long as this slow cooker ham recipe cooks for but I get that some people don’t like to cook with alcohol. But then again you probably wouldn’t have landed on this recipe if that was the case! But there are options here, we like to have options. Start by making the glaze in a small saucepan. Add the Coke, brown sugar, mustard and rum and simmer until you have a thick and syrupy glaze. 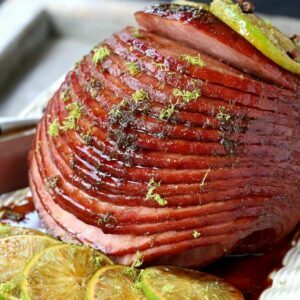 Attach a few lime slices to your ham with a few cloves, get the ham in your slow cooker, then pour half of the glaze on the ham. 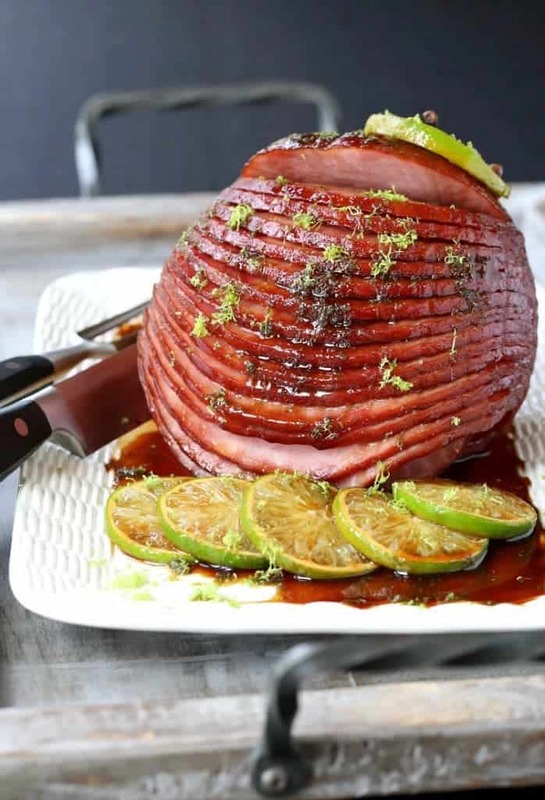 Cook the ham for 6 hours on low or 3 hours on high, then take the ham out of the slow cooker, remove the lime slices and pour the rest of the glaze all over the top. How could it get any easier than that? A dinner that cooks by itself! And I can promise you, it won’t get any tastier than that either. What Can You Serve With This Slow Cooker Ham? There’s so many options as far as side dishes go. Most things go with ham, especially a boozy fun ham recipe like this one! This crock pot ham recipe is going to be a hit at your next party! A sweet, boozy glaze tops this sliced ham with such a unique flavor, everyone will be asking for the recipe! Place 1 can of Coke, the rum, brown sugar and dijon mustard in a small saucepan. 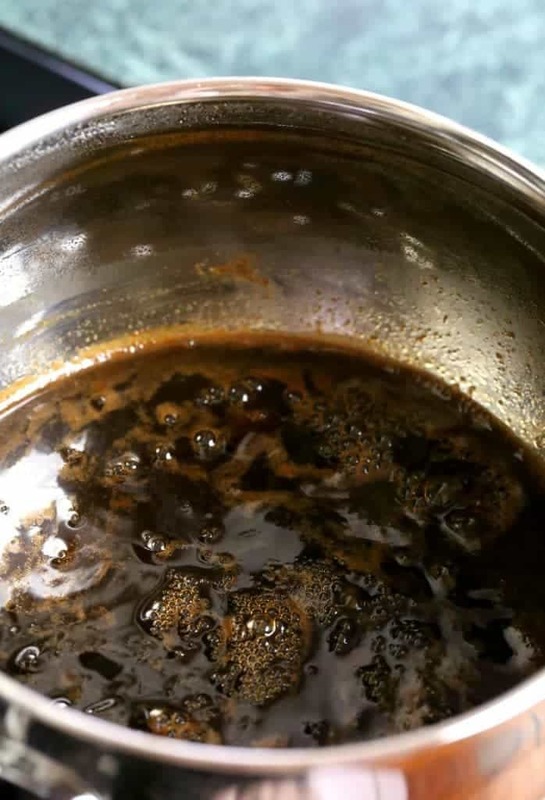 Pour the other can of Coke in the bottom of a slow cooker. Take the lime slices and attach them to the ham with the cloves, spacing them around the ham. Place the ham in the slow cooker with the Coke, then pour half of the glaze over the top. 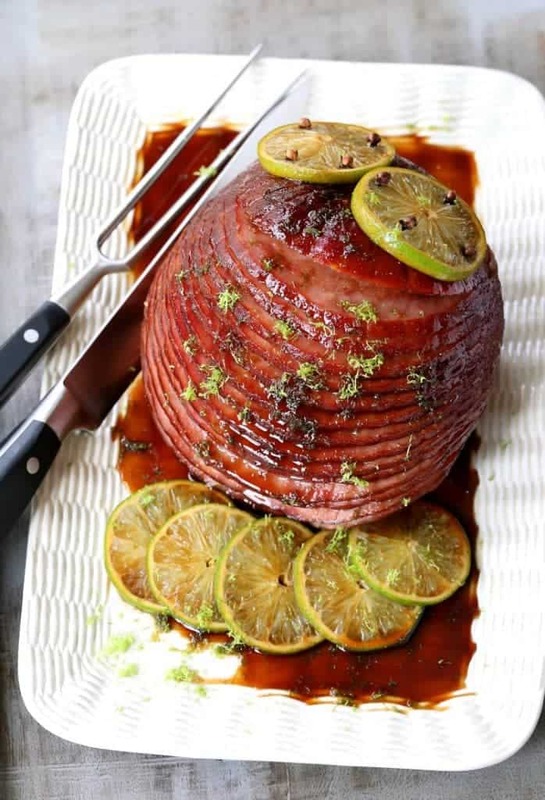 Remove the ham from the slow cooker, pour the other half of the glaze on top (or serve on the side) then top with lime zest. If you have a larger ham, you can double the ingredients (or triple) for the glaze and cook for 8 hours on low or 4-5 hours on high. The servings size listed is for a 6 pound ham. I love the sound of this glaze! I’ll bet it’s delicious! Very creative use of ingredients. Looks so flavorful. 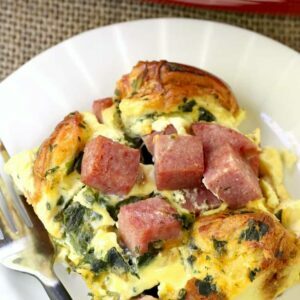 Trying this this weekend for a delayed Easter dinner! Awesome! I think you’re going to love it! It was a-Ma-zing!! 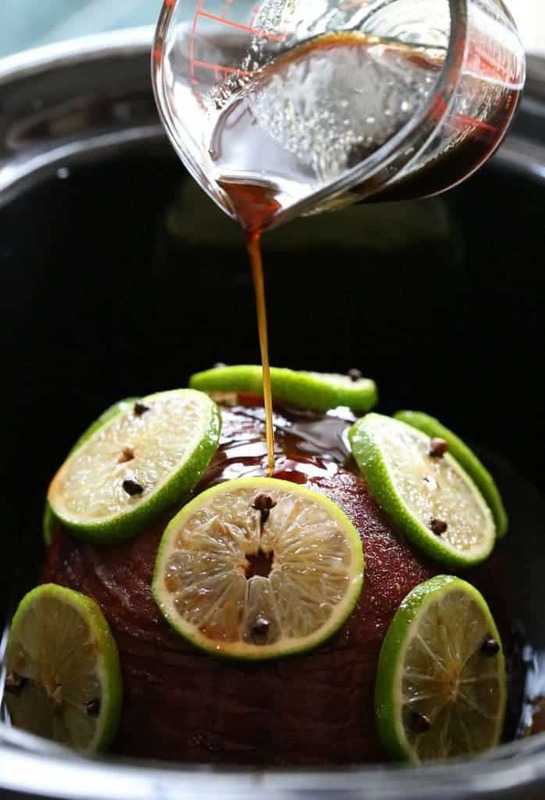 The lime added a suble tangyness, and the glaze, OMG!! SO glad I stumbled upon your recipe, Dan! ????❤️☺️???????? We love it too! Very different from the normal sweet glaze on ham but it works. So glad you liked it!